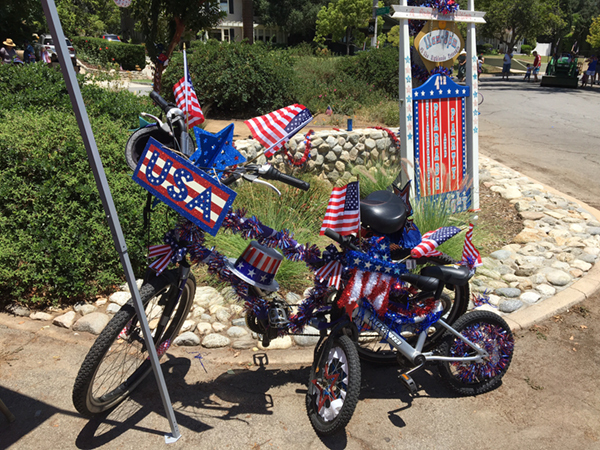 for the Historic Highlands’ Annual Party and Parade. 4th of July 2017 Success! 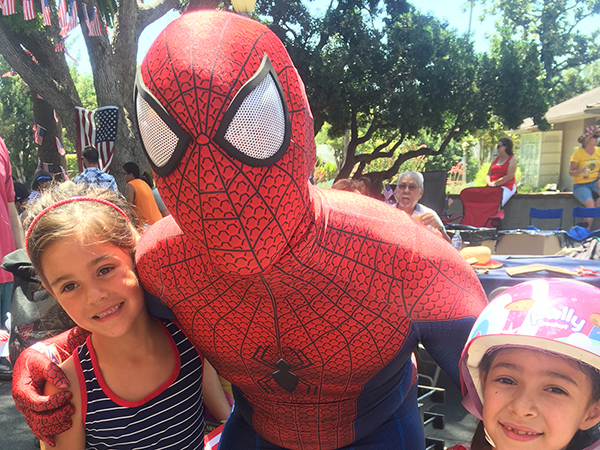 Once again the Historic Highlands annual July 4th event was a big success. Over 350 to 400 neighbors showed up to celebrate the occasion. 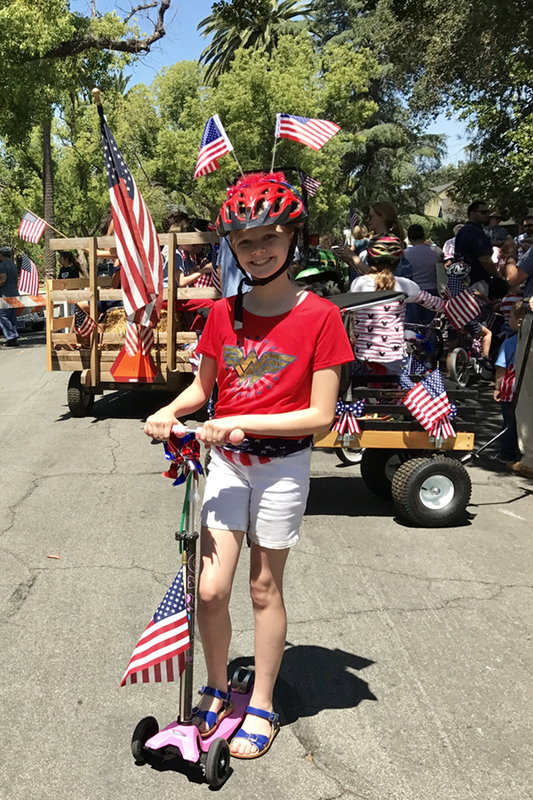 We had Lady Liberty, Spider man, and dozens of festive red, white and blue bicycles, skateboards, dogs, wagons and strollers join in the July 4th parade. There was plenty of food for everyone at the potluck. This was also the biggest offering of raffle items from our local merchants and neighbors. 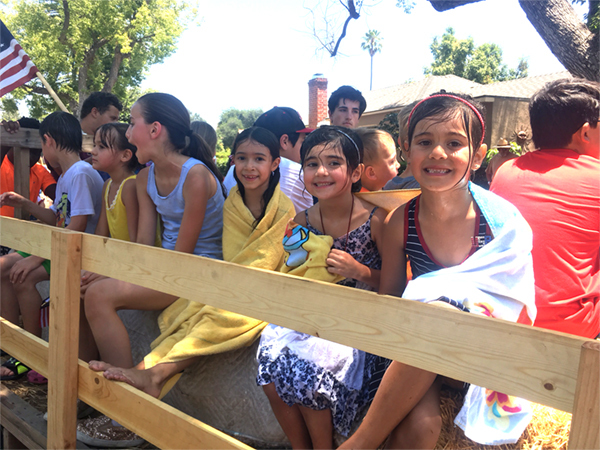 The kids enjoyed the hay rides, along with the water melon eating contest, and the arts and crafts table. 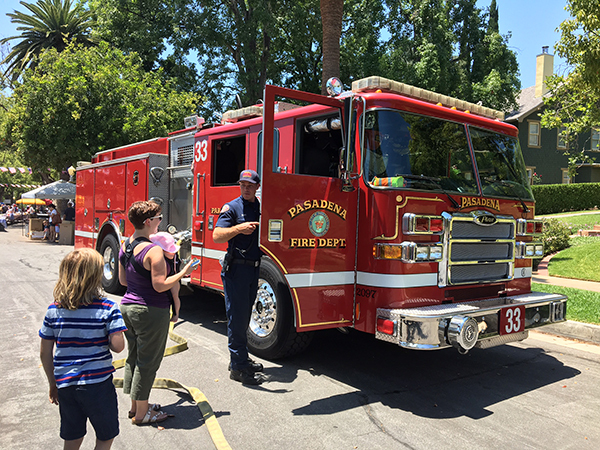 A big thank you to the Pasadena Fire Department (station 33) for bringing the fire truck. 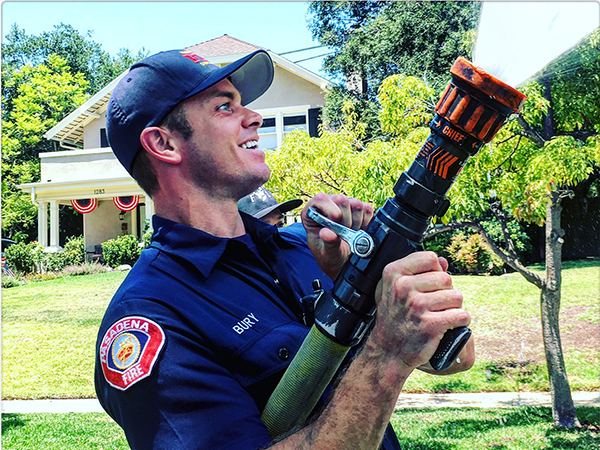 Even better was the 500 gallons of water they sprayed on everyone from the fire hose! 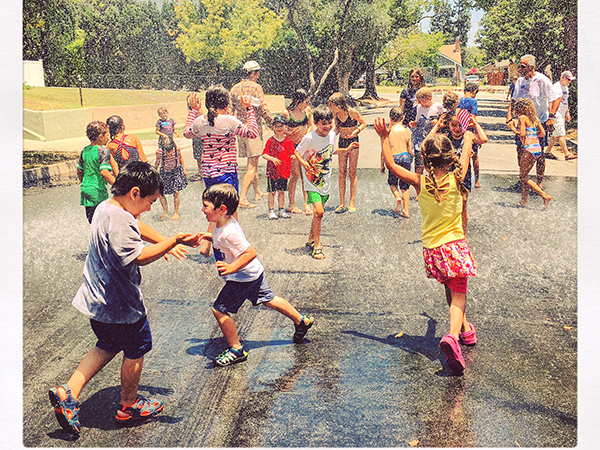 This is the type of event which helps to bring neighbors together and creates a strong sense of local community and makes our neighborhood special. This event could not have taken place without the help of dozens of volunteers from the neighborhood. Everyone’s help is much appreciated. I would like to recognize some of the leads of the various committees which helped to make this a great event. Andy Splichal for coordinating the overall July 4th event and volunteers; along with overseeing the parade, judging events, MC’ing event, decorating, purchasing food and supplies. Bill Loesch for coordinating setup and tear down of the event. 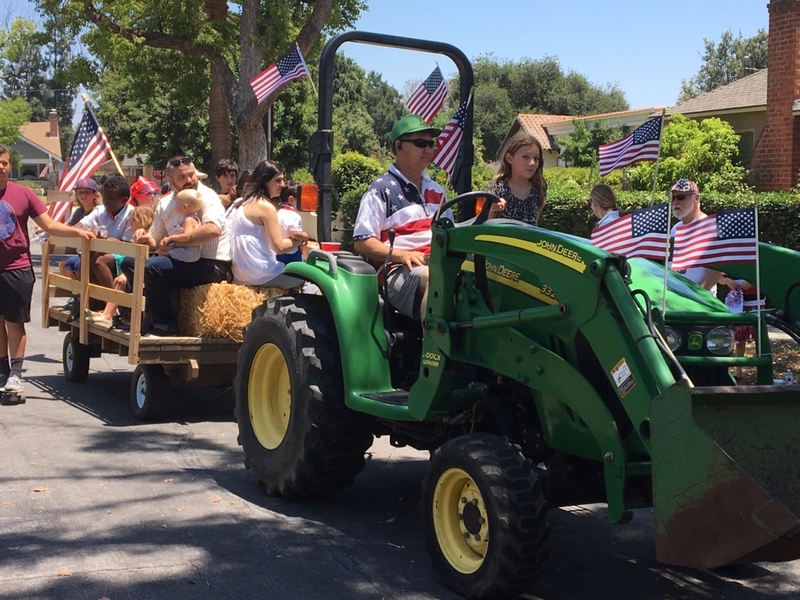 Also, for the John Deer tractor hayrides through the neighborhood for the kids. Kay Bowen for leading us all in the singing of the National Anthem. Jeffrey Thurnher for coordinating music, decorations, lemonade, etc., etc., etc. Heidi Rous for overseeing and coordinating the potluck table and hotdogs. Katie Rice for coordinating games and crafts. Geoff & Julia Elliott – (“A Noise Within Theatre” located at 3352 E. Foothill Blvd. Belinda Jacobs who donated a personal handmade quilt. Robert Bullock & David Anderson donation of a Home Depot gift card. 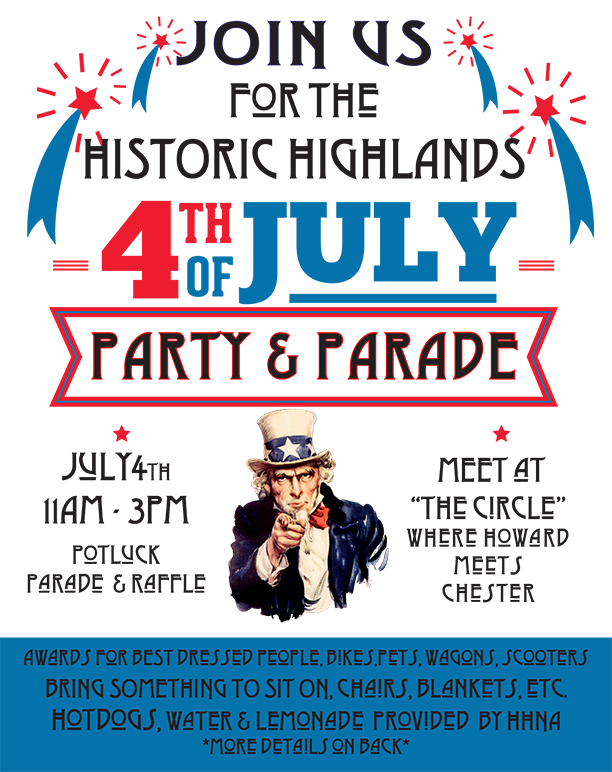 The Historic Highlands 4th of July Celebration takes place every July 4th at the area around The Circle (corner of Howard and Chester). 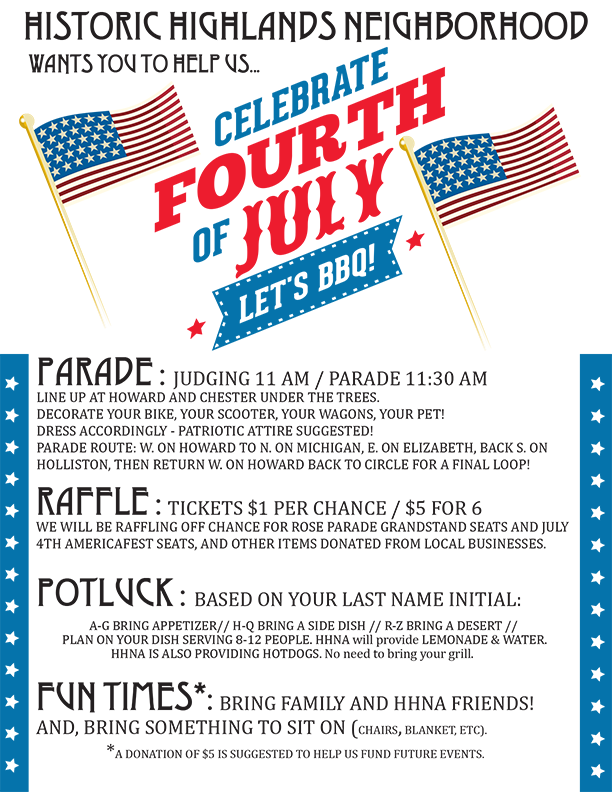 This year the 4th Celebration will be on Wednesday, July 4th beginning with Parade costume judging around 11:00 AM. 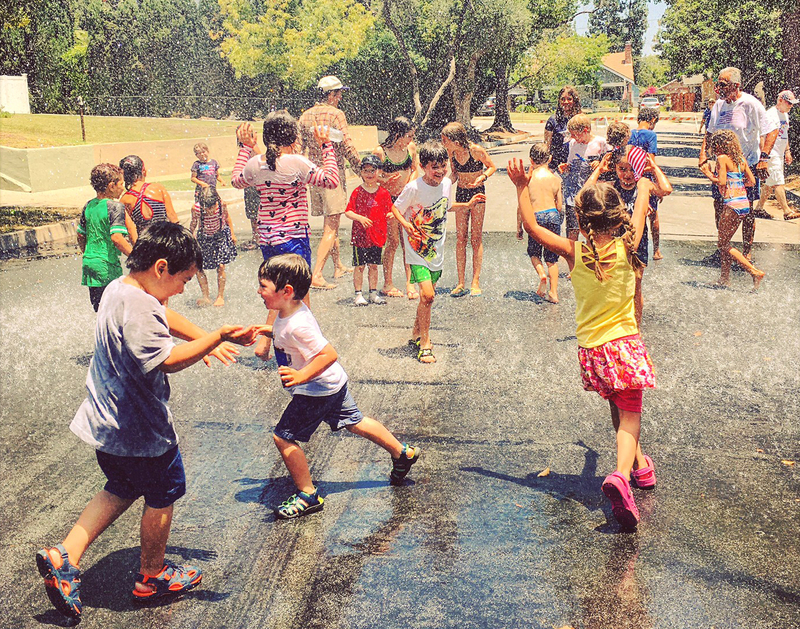 The fun event is a yearly event and draws crowds of 100s of people from the neighborhood. 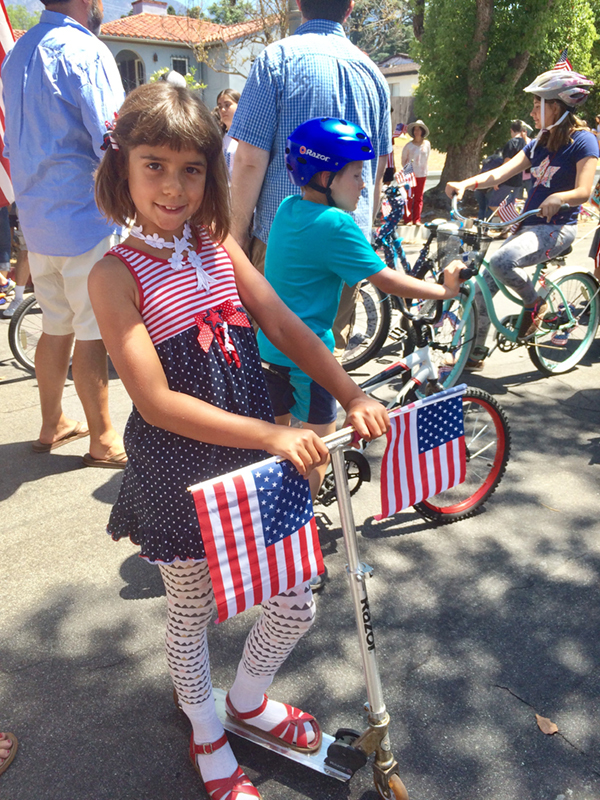 The highlight is the Parade where kids and pets dress in their patriotic best and traverse around the block. Prizes are awarded. Then it’s on to the food – a 100 ft buffet of delights contributed by the attendees. Want to volunteer? Contact Jama via the Contact Page contact form.